Tall growing Calla lily with white to green flowers. Does well in wet to damp soil. 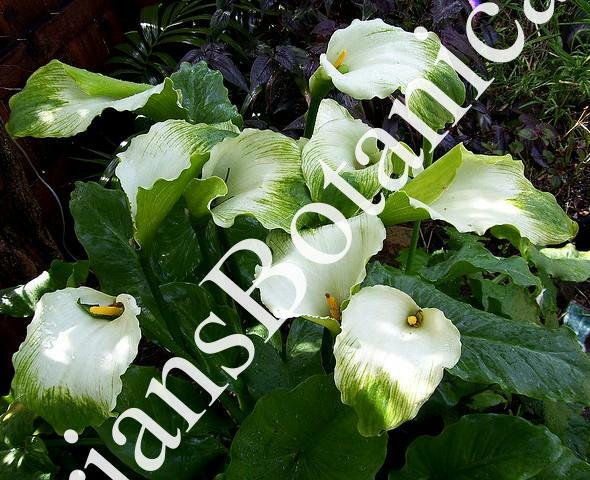 Zantedeschia aethiopica ‘Green Goddess’ can grow up to 3 to 4 feet tall with green hastate foliage. Plants grow in 4 1/2 inch pots.